A-HOTEL.com - Luxury and cheap accommodation in Hruštín, Slovakia. Prices and hotel, apartment booking in Hruštín and surrounding. This indicative offer was derived from the most recently booked accommodation in Hruštín and sort by the price, from cheapest Hruštín accommodation to the most expensive hotels. 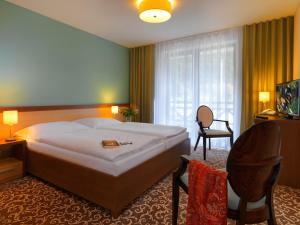 To select accommodation by your preferences we recommend to choose from 3 accommodation offers in Hruštín in total. By entering the dates of your overnight stay in Hruštín and using the filter tools you can sort the best possible accommodation for you. The entered dates of your stay are crucial for the most accurate offer as it derives all the online information on pricing and availability of Hruštín accommodation. Then you can book the selected Hruštín lodging (hotels, apartments etc.) immediately. Located in the quiet area in Orava region and many hiking and skiing opportunities nearby, Penzión u Peťa offers a self-catered accommodation, a garden with outdoor grill facilities, a children's playground, darts, petanque and badminton facilities. All apartments in Penzión u Peťa come with a seating area, a fireplace, a TV, a fully equipped kitchen and a private bathroom with a bath tub or a shower. 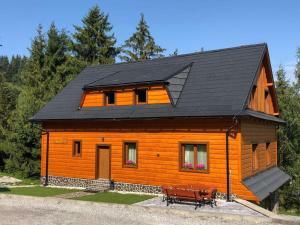 Offering free WiFi and mountain views, Three-Bedroom Holiday Home in Oravsky Podzamok is an accommodation located in Oravský Podzámok. The accommodation is 39 km from Oravice. Situated in Podbiel in the Žilinský kraj region, Holiday home Podbiel is a 4-star property boasting free WiFi. 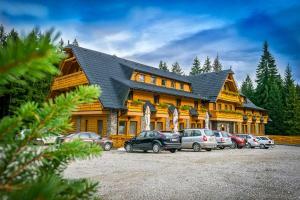 The accommodation is 48 km from Zakopane. Located only 150 metres from the ski slopes in the popular Kubínska hoľa Ski Park, Hotel Green provides free Wi-Fi, satellite TV and balcony in all its rooms and suites. A fridge and carpeted floors are featured in all accommodation units, which also have a private bathroom with shower. Located in Dolný Kubín in the Žilinský kraj region, Two-Bedroom Apartment in Dolny Kubin is a 4-star property featuring free WiFi. The 4-star apartment is 17 km from Orava Castle. Located 17 km from Orava Castle in Dolný Kubín, Two-Bedroom Apartment in Dolny Kubin offers accommodation with a kitchen. The accommodation features free WiFi. Chata Alica, featuring a tennis court, a garden and a terrace, is set in Dolný Kubín, 17 km from Orava Castle. The chalet is in an area where guests can engage in activities such as skiing and cycling. The guesthouse is a part of Salaš Ostražica, a cottage style restaurant, located on the international road E77 direction Krakow and Zakopane, between Podbiel and Nižná. The rooms feature a private bathroom and the design follows the traditional Slovakian cottage look with lots of wooden elements complemented with all the conveniences. Situated in the village of Nižná in Orava region, Hotel Arman features a spa centre with different saunas, free WiFi and a restaurant. 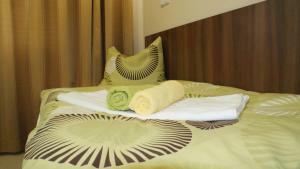 All units in Hotel Arman are fully furnished and come with a flat-screen TV and bathroom. Penzion Relax offers rooms in Nižná. Boasting a shared kitchen, this property also provides guests with a restaurant. Chaty Hldočín, Uhliská, Ostražica, Zmrazov is situated in the village of Nižná nad Oravou, surrounded by the nature. The cottage comes with 3 bedrooms and each has its own bathroom and a TV. Located in Nizna in the Orava region, Objekt Nizna nad Oravou is located 11 km from the Lake Orava. All rooms have a shared bathroom and a toilet. Featuring free WiFi, a sauna and a children's playground, Port Club pension & restaurant offers accommodation in Námestovo. It is situated by the Oravska Dam, where many festivals and events take place. Set in Námestovo, Slanický Dvor offers a seasonal outdoor swimming pool and free WiFi. The property is situated 4.